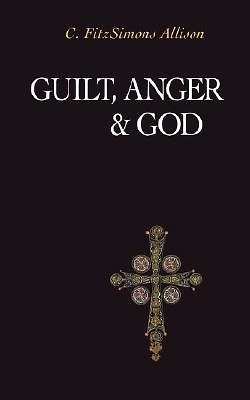 Guilt, Anger & God: The Patterns of Our Discontents 1-57383-262-6 C. FitzSimons Allison 164 pp. Drawing from what perceptive non-Christians such as Freud, D.H. Lawrence, Reich and Marcuse have said about the human condition, Allison examines four contemporary patterns of the discontents of modern humanity-Anger, Disesteem, Guilt and Death. Believing that Christianity has been hurt as much by its friends as by its enemies, with deep pastoral concern Allison addresses the anguish many Christians feel today. He then discusses the gospel and its timeless message to our discontents. Skeptics, both within and outside the Church who hunger for more than "bread alone" will find this book an occasion for delightful surprises. "This is one of the most stimulating and evocative book I have read for some time. It is by no means the old psychological/theological witches' brew but really relates Christian doctrine to current and future questions about our human destiny. "-David H. C. Read Dr. Allison is retired Bishop of South Carolina. His other books include The Rise of Moralism and Guilt, Love and Worship.